This years Summer Fete was a roaring success. 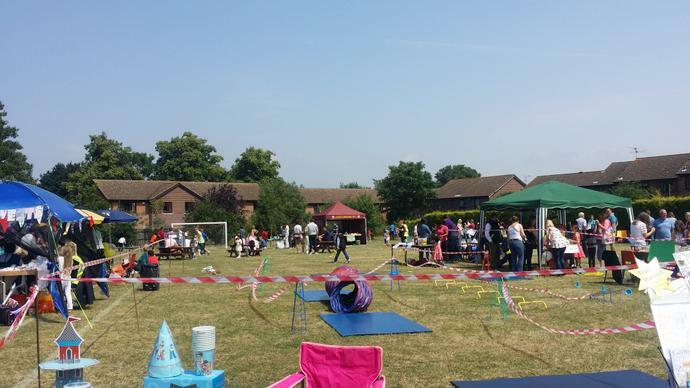 The PTA worked very hard to arrange the day and the sun even stayed out for us. 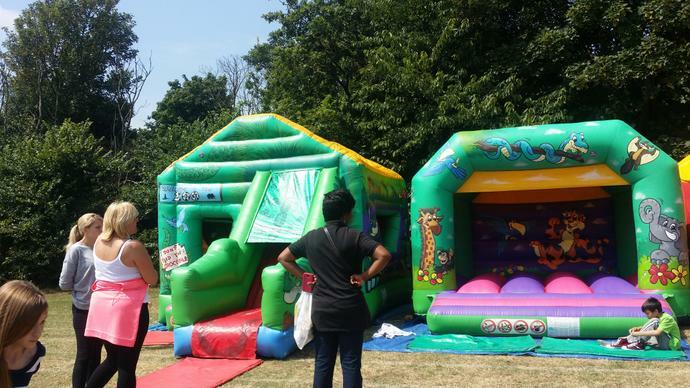 The bouncy castles proved to be popular and there were many other activities to do and things to buy. 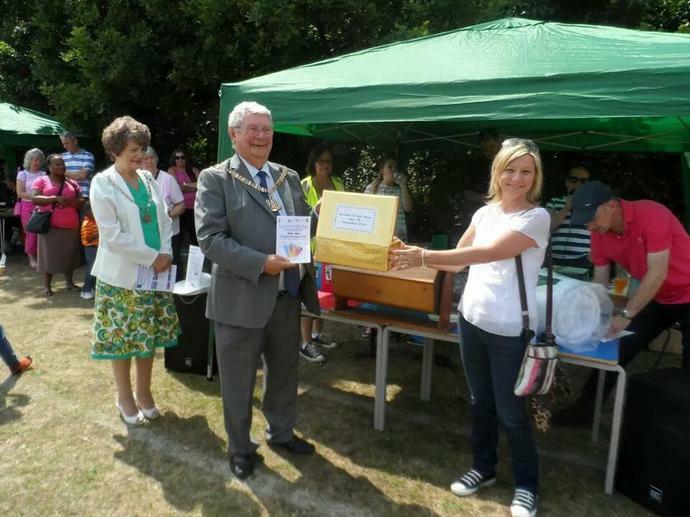 We even had a visit from the Mayor of Bexley who drew out the winning raffle prize (a trip to Paris or Brussels on the Eurostar). All classes had their own stall and were in competition with each other to see who could raise the most money and win the treat afternoon of pizza and a DVD in school. In fact, all classes did so well that although the winners will still get their treat, all classes will have a visit from an ice-cream van this week to reward them for their hard work. This means that Year 5 get to have ice-cream and pizza ! Well done to all the classes for an excellent effort and for great team work. We would like thank all members of the PTA, parents, families and friends who came along and helped to set up, organise the day and clear away.